Do the Poor Have More Meaningful Lives? Some of the most rewarding life experiences are popular because they favor meaningful hardship over simple pleasure. Shigehiro Oishi, a University of Virginia psychologist who studies well-being, pointed to this passage when I e-mailed him last week to discuss a paper he wrote, with Ed Diener, a University of Illinois psychologist, which will soon be published in the journal Psychological Science. In the paper, Oishi and Diener found that people from wealthy countries were generally happier than people from poor countries. No surprise there. But they also found that people from poor countries tended to view their lives as more meaningful. Even Foer’s grandmother, impoverished and desperate, seems to have favored a meaningful, life-enriching religious tradition over immediate gratification. Read the full article as published in The New Yorker. 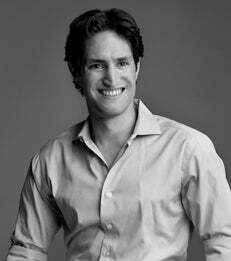 Adam Alter is an Assistant Professor of Marketing with affiliated appointment in the Psychology Department. "How Culture Influences Our Financial Decisions, 12.10.13"